To ameliorate the prevailing situation on campus arising from the ongoing strike and in response to appeals by the Student Leaders, the Vice Chancellor has graciously removed the time restrictions on the operations of vendors on campus as a temporary palliative. All food vendors on campus can now operate until the last patron is served, this revised regulation is operational immediately and subsists until further notice. This Decision was taken as a result of an incident which involved a security man who poured away noodles that was been prepared for students late in the night. But for the timely intervention of the CSO and the DSA, the enraged students would have had the man beaten up. This decision made by the school comes at the wake of the non-academic staff strike action which has affected steady supply of electricity at the halls of residence. Also, as a result of the strike. 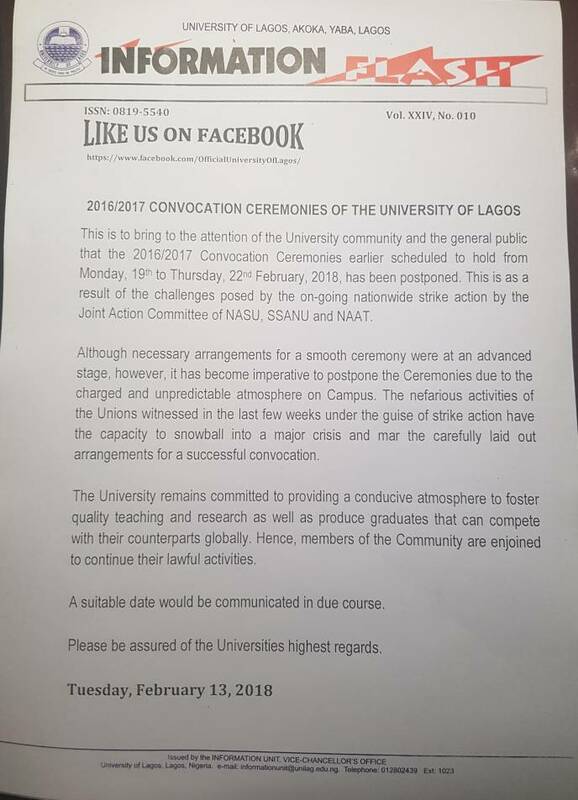 The convocation ceremony of the University of Lagos which was billed for 19th – 21st of February has been postponed indefinitely, this development was made known to the public through the Universities News Flash Platform which was let out by the vice chancellor of the University Professor Oluwatoyin Ogundipe. Prior to this suspension, the school management had started putting structures in place to make sure that the convocation ceremony would not be disrupted due to the ongoing strike by the non-academic staffs, but it seems that would not be possible as the Unions had earlier in the week threatened that they would not allow the ceremony to hold. 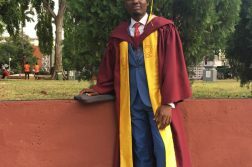 According, to commendation given in our previous editorial ( http://unilagnews.com/2018/02/12/non-academic-staff-strike/ ). 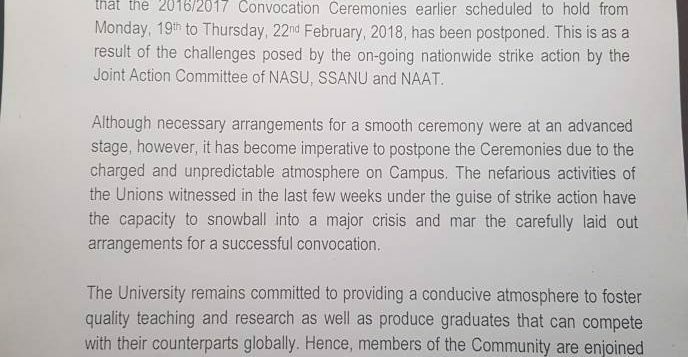 We hope that this NASU’s “strike for welfarism” – which is impeding on students (graduates) plans and welfare comes to an end soonest. We hereby look forward to the new convocation dates or any coping, adaptive or restructuring mechanism or system that would be put in place for the smooth running of the University’s calendar. 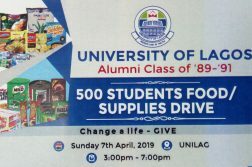 Next Article UNILAG non-academic staffs demand release of two union leaders As UNILAG Matriculates New Set Of Students By SOLOMON OLADIPUPO and ARIYO AYODELE EMMANUEL.